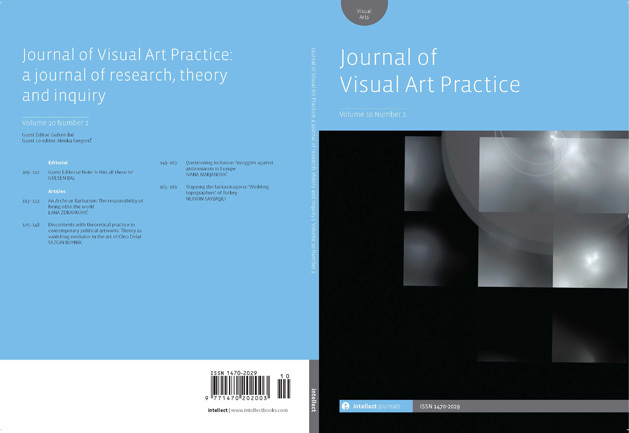 Empirical, historical and philosophical research with implications for art education or that explore theoretical and practical aspects of art criticism, artistic growth, curriculum and learning, program evaluation, and other dimensions of visual arts. MySVA access to content in Art Source from 2002 to present. Click on title to access. 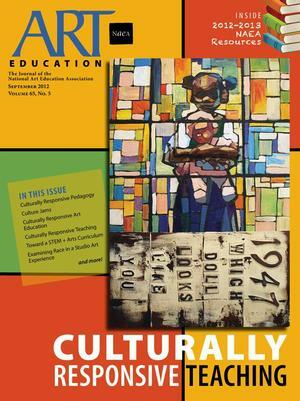 Articles for classroom art teachers on subjects dealing with art education theory and practice at the elementary and secondary levels, as well as teacher education and uses of community resources. Aimed at educators and deals with the role of the arts in education and curriculum development. 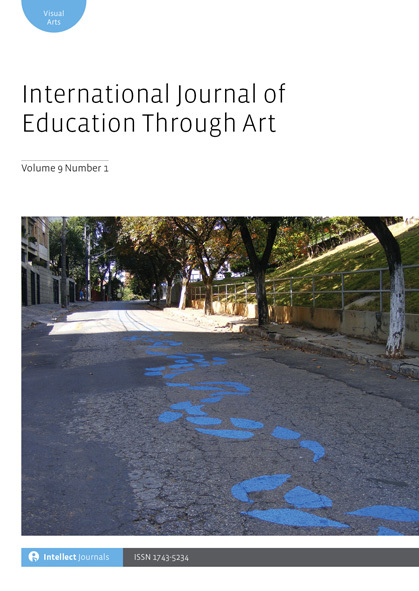 Published by the Hong Kong Institute of Education, the Asia-Pacific Journal for Arts Education (APJAE) is an international refereed journal which has been developed to promote and nurture arts education research in the Asia-Pacific region. 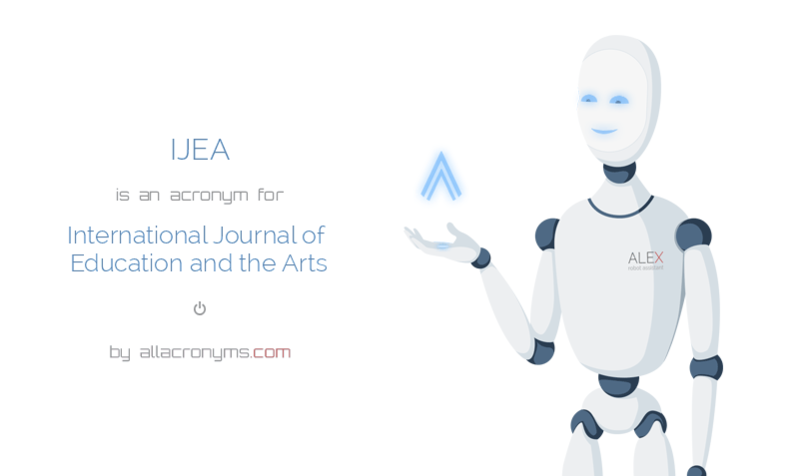 The journal is open to all researchers and authors who wish to report their updated research studies and findings related to arts education (including visual arts, music, drama, dance and other art forms) in the Asia-Pacific region. The Journal may also publish abstracts of dissertations and theses successfully accepted for higher degree studies, plus reviews of recent publications. Starting from Volume 6, the APJAE is available on line. Hard copies will continue to be available by subscription. 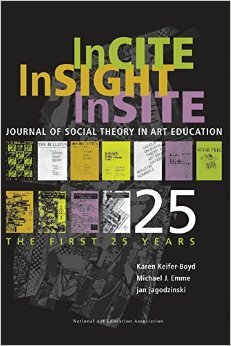 Examines issues, ideas and developments in art education at all levels. Devoted to research on art education in Canada. Concerned with theoretical and practical approaches, particularly the social and cultural values which inform art and design education. Publishes research-based field studies including, among others, aesthetics, art theory, music education, visual arts education, drama education, dance education, education in literature, and narrative and holistic integrated studies. Promotes relationships between art & education. 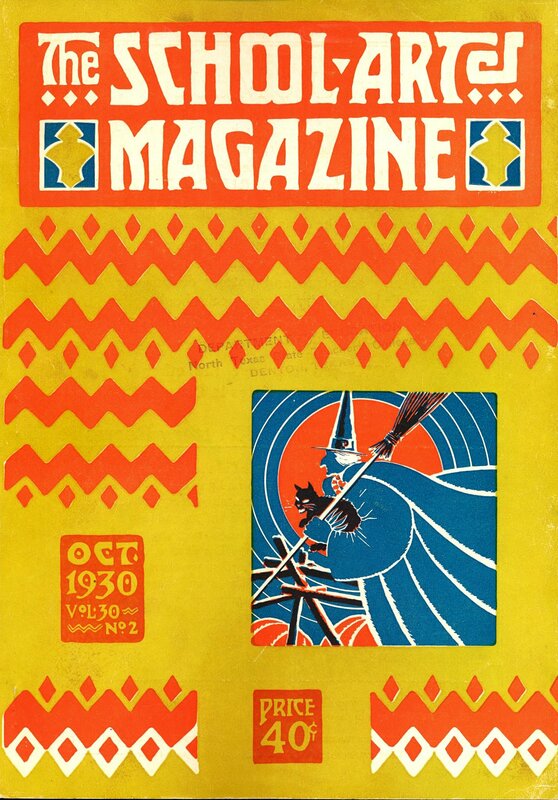 Each issue will consist of texts in the form of critical essays, articles, exhibition reviews & image-text features. Serves as an alternative voice for the field of art education through the promotion of scholarly research that addresses social issues, action, and transformation. 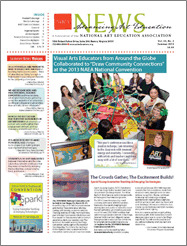 Covers all aspects of fine art education. Call Number: Current Issues on display in library. 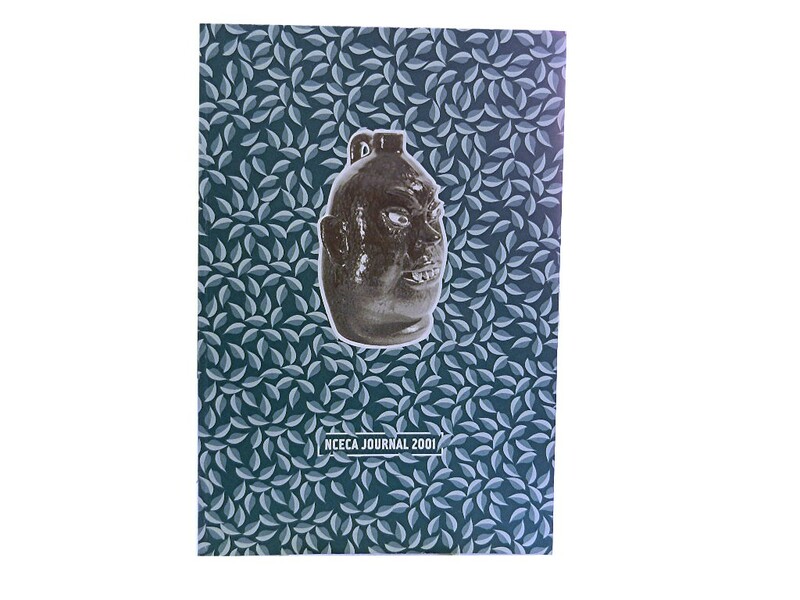 Focuses on conference presentations and exhibitions in the field of ceramic arts. SANE journal: Sequential Art Narrative in Education SANE journal publishes research and practitioner-based articles covering all intersections of comics and education, from pre-k to post-secondary studies, from a variety of disciplines. SANE journal publishes peer-reviewed articles from researchers and practitioners from a variety of disciplines seeking to add significantly to the global knowledge associated with all aspects of graphica (comics, graphic novels, and its related forms) and education. 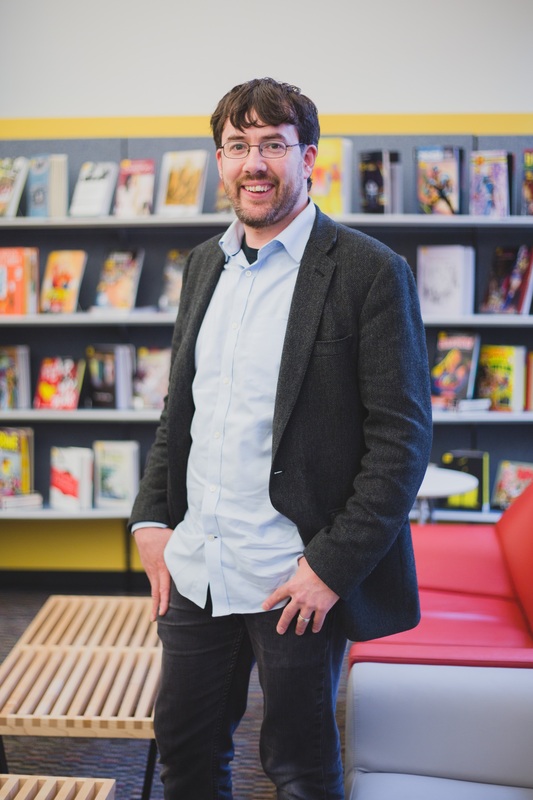 Reviews of sequential art narratives and their associated scholarship as it pertains to teaching or learning through them are also published, as are resources designed to help educators of all levels integrate comics texts into their classrooms and libraries. For more than a decade, Judy Chicago has been formulating a critique of studio art education, in colleges or art schools, based upon observation, study, and, most importantly, her own teaching experiences, which have taken her from prestigious universities to regional colleges, and across the country from Cal Poly Pomona to Duke University and the University of North Carolina, Chapel Hill. ...Creator of the celebrated The Dinner Party, a monumental art installation, Chicago reviews her own art education, in the 1960s, when she overcame sexist obstacles to beginning a career as an artist and became recognized as one of the key figures in the dynamic California art scene of that decade. She reviews the present-day situation of young people aspiring to become artists and uncovers the persistence of a bias against women and other minorities in studio art education. Far from a dry educational treatise, Institutional Time is heartfelt, and highly personal: a book that has the earmarks of a classic in arts education." -- Publisher's website. 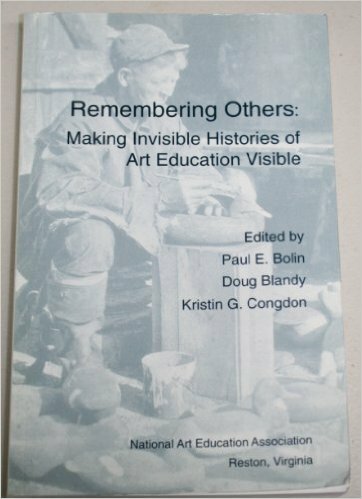 "The primary goal of the book is to change and expand our understanding of history in the field of art education, plus to open up a dialog with individuals from other disciplines, especially folklorists. In doing so the goal is to further the kinds of educational partnerships that can and should take place when learning about the visual arts." Teachers are powerful individuals who have the ability to effect change and meaningful educational reform. Teachers and researchers can benefit from the rich knowledge and experience of art teachers, university faculty members, and museum educators who may balance multiple roles. Examples beyond public school classrooms include senior citizen centers, preschools, museums, and international sites. 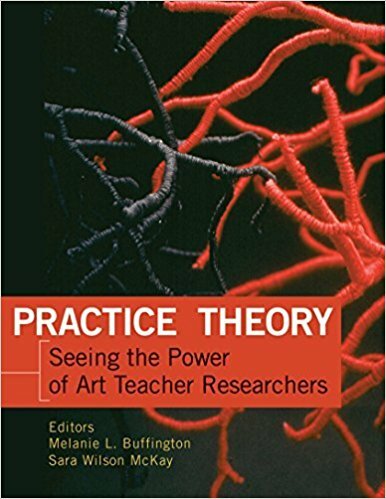 This collaboration of voices-including those of the authors, a graduate student, and a wide range of researchers with various perspectives on how research occurs in art education-will help new researchers and teachers who may not have considered conducting research as a possibility for them, find a glimpse of themselves as a teacher-researcher. LEVEL: All. 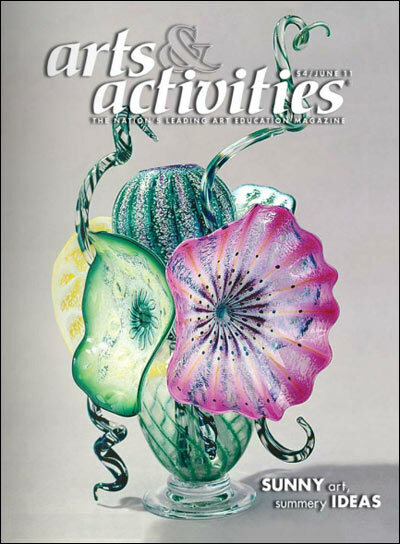 Stimulating creativity in art, each chapter in this resource is filled with photographs, drawings, and activities that illustrate familiar art elements in new and unusual ways. Over one hundred activities are included, as well as the 'Art Synector' guide, which enables you to generate an unlimited number of classroom projects. Assessing Expressive Learningis the only book in the art education field to date to propose and support a research-supported teacher-directed authentic assessment model for evaluating K-12 studio art, and to offer practical information on how to implement the model. This practical text for developing visual arts assessment for grades 1-12 is based on and supported by the results of a year-long research effort primarily sponsored by the National Endowment for the Arts, involving 70 art teachers and 1,500 students in 12 school districts in Florida, Indiana, and Illinois. 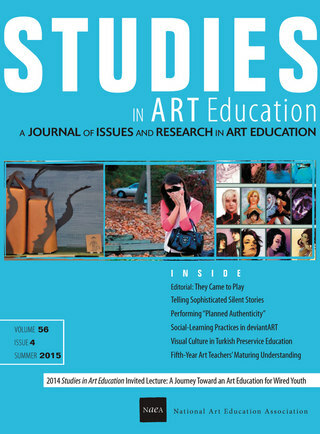 The purpose of the study was to demonstrate that creative artwork by K-12 students can be empirically assessed using quantitative measures that are consistent with the philosophical assumptions of authentic learning and with the means and ends of art, and that these measures can reliably assess student art growth. A further goal was to provide a rationale for the assessment of student art as an essential part of the K-12 instructional program and to encourage art teachers to take responsibility for and assume a leadership role in the assessment of art learning in the school and the school district. Assessing Expressive Learning: *reports on current assessment methods but also stresses a time-tested portfolio assessment process that can be used or adapted for use in any K-12 art classroom; *includes the assessment instruments used in the study and several case studies of art teachers using electronic portfolios of student work, a bibliography of major art assessment efforts, and a critical review of current methods; *is designed to be teacher- and system-friendly, unlike many other art assessment publications that provide only a review of information on assessment; and *both documents an experiment where artistic values and aesthetic issues were considered paramount in the education of K-12 students in the visual arts, and also serves as a guide for the conduct of similar experiments by art teachers in the nation's schools--the research methodology and results are reported in an appendix in a format that will enable educational researchers to duplicate the study. 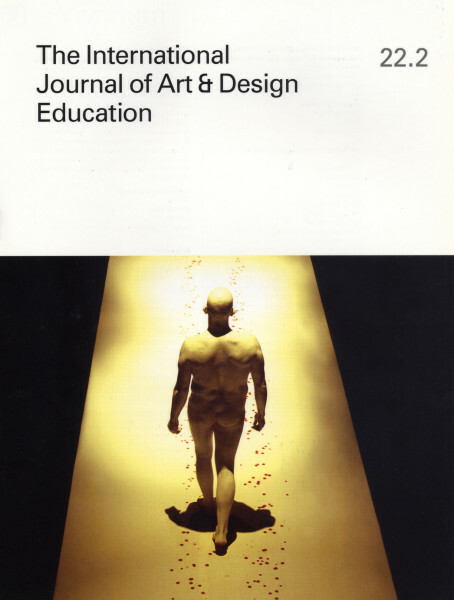 This volume is ideal as a text for upper-division undergraduate and graduate classes in visual arts education assessment, and highly relevant for college art education professors, researchers, and school district personnel involved in the education and supervision of art teachers, and researchers interested in performance measurement. This book introduces the student to the field of teaching, discusses theory and practice of Art Education, and synthesizes and prepares students to make the transition from student to Art teacher. It presents art education as an integration of philosophy, history, theory, and practice. Bates illustrates how to apply theory to practice as an art educator. Models, methods, and experiences are provided to enlighten, inspire, and amuse. BECOMING AN ART TEACHER is a refreshing approach to art methods. Research shows that thematic teaching across the curriculum significantly increases student engagement. This book gives examples of how teachers can enhance their current lessons and studio activities by organising them around meaningful, universal themes like identity, conflict, and relationships. 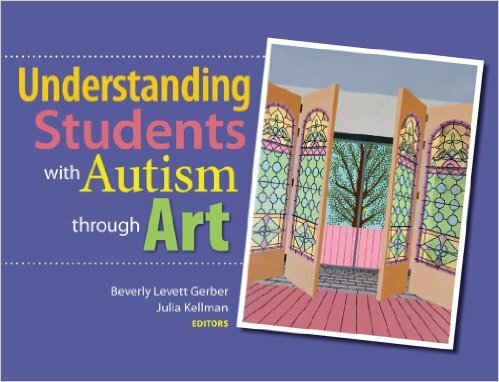 Reaching and Teaching Students With Special Needs Through Art by Gerber, Beverly Levett. 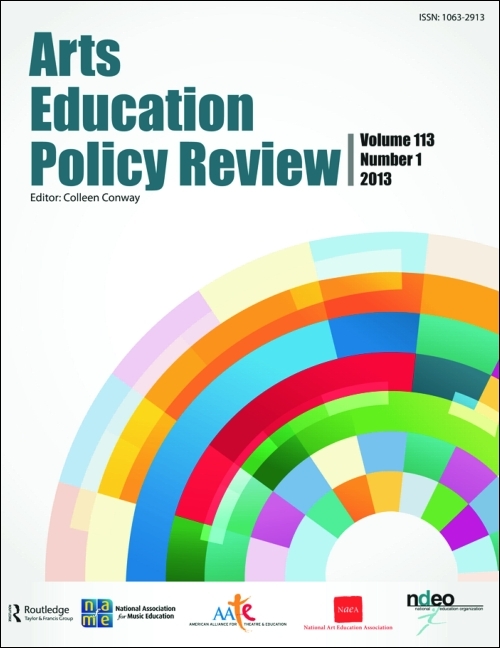 ERIC, the Educational Resource Information Center database of the U.S. Department of Education, contains citations and abstracts from over 980 educational and education-related journals, as well as full text of more than 2,200 digests. A comprehensive collection of full text education journals that provides access to over 700 high quality education journals and more than 200 educational reports. 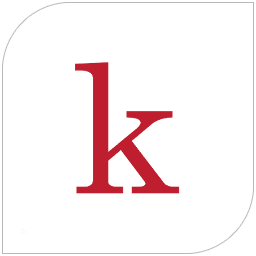 A multidisciplinary collection of over 140,000 fulltext ebooks. You will be able to find very current books in Art Education here. The Chronicle of Higher Education is the No. 1 source of news, information, and jobs for college and university faculty members and administrators. Online, The Chronicle is published every weekday and is the top destination for news, advice, and jobs for people in academe. The Chronicle's website features the complete contents of the latest issue; daily news and advice columns; thousands of current job listings; an archive of previously published content; vibrant discussion forums; and career-building tools such as online CV management, salary databases, and more. This multidisciplinary database provides full text coverage of over 6,100 journals covering nearly all academic areas of study. Provides access to over 12,000 periodicals with millions of articles available in full-text covering the arts, sciences and humanities. The gateway into art research and the access point for Oxford art reference subscriptions and publications which include Grove Art Online, Oxford Companion to Western Art, Encyclopedia of Aesthetics, and Concise Oxford Dictionary of Art Terms. "Ridiculously Relevant Professional Development to Art Educators"
Sample lesson plans that include a syllabus, curriculum map, lesson plans, Power Points, and rubrics.